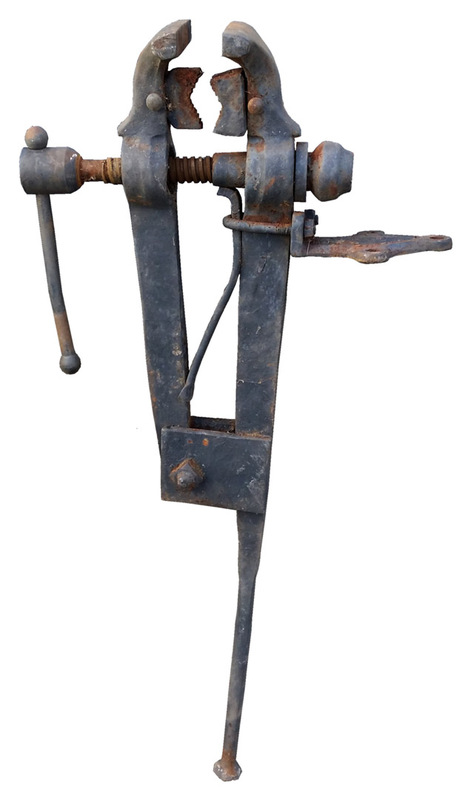 Unusual Columbian Leg vise with Pipe Jaws. 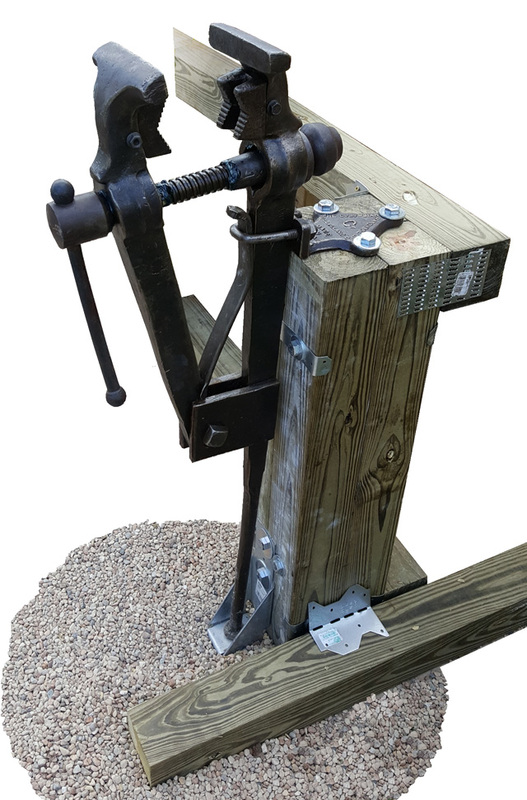 A modified version of the tall jawed farriers vise below. The stand above is an extension of an outdoor bench. The steel bracket at the foot of the vise would appear to be ideal. However, I think it is too light and will end up stretched down an inch or more after use unless there is support under it. The standard Earth mounting for the foot is a post sunk into the Earth in front of the top supporting post. This may be capped with metal. An option is a large flat steel load distribution plate with a hole for the foot center pin. A smaller version is recommended for concrete floors. 1904 Columbian Advertising Cuts. 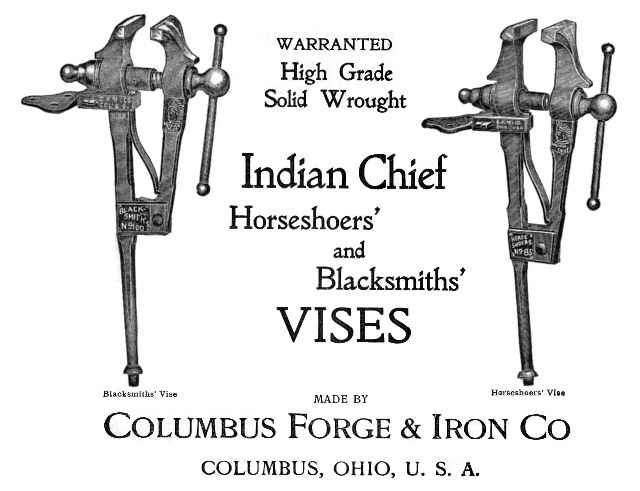 Vise as purchased. Missing screw thrust washer.